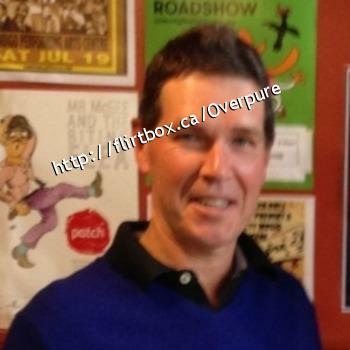 Do you want to date Overpure from Montreal ? I&#39;m looking for serious relationship, I&#39;m a man with a compassionate heart, tenderhearted and considerate of others and i believe trust, communication, honesty, loyalty and understanding are some important qualities to a successful relationship. I love to have fun, I&#39;m very open and nice, i consider myself smart, positive, non-judgmental, affectionate and i get silly at times too. I&#39;m that easy going type, adventurous, romantic, ambitious, have a very good sense of humor and very respectful.. Loyalty and honesty are very high in my standards list tho! I sometimes try to be funny because i do laugh and smile a lot and yes, there&#39;s nothing better than seeing a smile a million times a day. Smiles and laughter i think they&#39;re very healthy for our soul. I&#39;m a man and I treat others with the respect and dignity they deserve. I love watching movies, listening to music, having long walks on the beach etc. I enjoy nature parks, theme parks, canoeing, biking, BBQs, swimming, movies, theater, historical sites. I Love the mountains, road trips, love the ocean during sun set, romantic dinners, very passionate about most things! lots of hugs and affection are wonderful!. looking forward to hear from you.